Oregon’s unemployment rate was 4.1 percent in 2017, which was Oregon’s lowest unemployment rate since comparable records began in 1976. 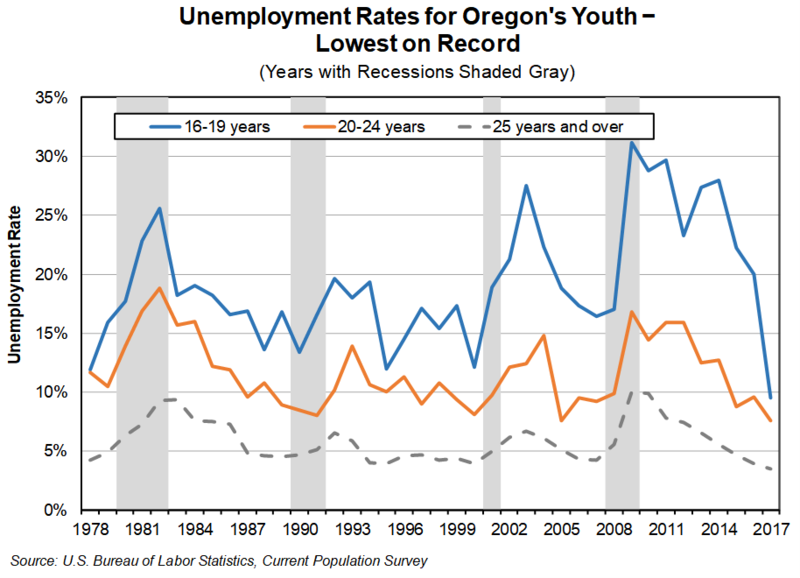 The unemployment rate for Oregon teens ages 16 to 19 was 9.5 percent in 2017, which was also the lowest unemployment rate since 1978 when comparable records began. This was a large drop from a year before when the unemployment rate for teens was 20.0 percent. The unemployment rate for Oregon young adults ages 20 to 24 was 7.6 percent in 2017, which was also the lowest unemployment rate recorded for this age category. The last time the unemployment rate for young adults was 7.6 percent was in 2005. In 2016, the unemployment rate for young adults was 9.6 percent. Having a part-time or summer job used to be the normal situation for many teenagers. The labor force participation of teens averaged around 59 percent from 1978 to 2000. The rate started falling dramatically in 2001 both in Oregon and the nation. 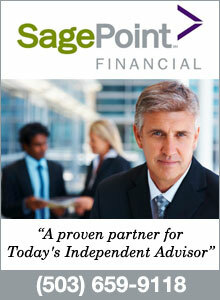 During the recession and in the aftermath of the recession it continued to slip. Oregon’s strong job growth since 2013 attracted more teens and young adults into the labor force. The participation rate of teens ages 16 to 19 increased to 40 percent in 2017. Teen participation is close to its pre-recession rate of 42 percent, but still considerably less than what is was in the 1990s. The participation rate of young adults ages 20 to 24 increased to 74 percent in 2017.